Many healthy changes that a woman makes before pregnancy will not only impact the health of her pregnancy, but also her ability to get pregnant in the first place. I often find that when asked to think about their future baby, women often make lifestyle changes more willingly. And the good news is that women often maintain these healthy changes even after the baby is born. Achieve your ideal body weight. Recommendations on weight gain during pregnancy vary, depending upon your pre-pregnancy weight. For healthy women of good body weight, a weight gain of 25-35 pounds is a good goal. For overweight women, minimal weight gain is recommended. Ensure you’re getting proper nutrients. Pregnant women should ensure they’re getting enough Vitamin D, iron and Calcium throughout pregnancy. It’s also important to note that all women who are thinking about trying to conceive, should take a daily vitamin with folic acid. First Response Multivitamin Gummies were developed to provide women with the recommended amount of folic acid in a delicious tasting gummy. It’s also important to pay attention to what you eat. Most doctors encourage their patients to avoid consuming fish, unpasteurized milk, juice or cheese, and caffeine. Abstain from drinking, smoking and drugs. It is known that women who drink two or more alcoholic beverages a day put their children at risk of fetal alcohol syndrome. Equally important is smoking cessation, as smoking can lead to fetal growth restriction by inhibiting blood flow to the placenta. All recreational drugs should be avoided during pregnancy. Prescription drugs should be monitored closely. For example, certain blood pressure medications are best avoided during pregnancy. If a woman is diabetic, she should have her blood sugars in control before getting pregnant. Women who are thinking of becoming pregnant should schedule a pre-pregnancy consultation to discuss their current health and medications before pregnancy. Some women may think, “Gee, this sounds like no fun. What can I do?” Well, lots of things. You can also do almost all forms of exercise. Although we don’t encourage women to take up a new sport without training during a pregnancy, we certainly do encourage lots of exercise. Even running is okay if you are an experienced runner, and almost everyone can take a walk. An extra bonus for swimming is that you’ll probably feel the best in the water, and swimming will help mobilize any extra fluid (edema) that you may have acquired in your legs. It’s important to remember these guidelines even after pregnancy to maintain well-being and enjoy a long, healthy life with your baby. 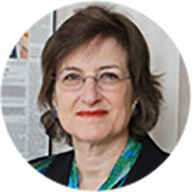 Mary Jane Minkin, M.D., is a board-certified obstetrician/gynecologist in private practice in New Haven, Connecticut, and a Clinical Professor of Obstetrics and Gynecology at Yale University School of Medicine. She is a lead author or co-author of articles in numerous peer-reviewed journals, including Obstetrics and Gynecology and Journal of Reproductive Medicine, as well as coauthor of A Woman’s guide to Sexual Health (Yale University Press, 2005).